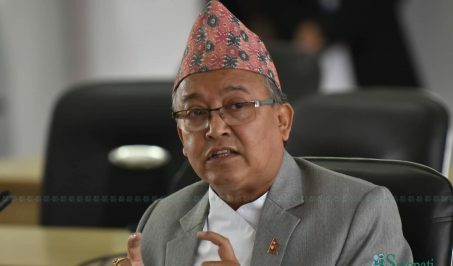 Chairperson of Rastriya Prajatantra Party Kamal Thapa has said that government extravagant participation at a program of a religion publicity organization was objectionable. At a news conference organized by Media Nepal here Thursday, Chairman Thapa said such extravagant participation of the government in such a religious program has attacked the faith of many Hindu people. RPP Chair Thapa said that the party would launch a campaign from February 19 to restore Nepal as Hindu state as secularism was declared in the country under the pressure of foreign forces.